After announcing on YouTube and Instagram that I have become a Wellness Advocate for doTERRA I had such a positive and welcoming response. Those of you who follow my social media account most likely know that a friend gifted me with some oils and a book, The Essential Life when she found out I was dabbling. I was blown away that these oils actually DID something (other than smell pretty). I honestly thought the oil thing was bit weird and I was a real skeptic. Until…. Surely, this was a coincidence, right. I tried to convince myself that, but it was undeniably these weird little vials of oils that had started cluttering up my table that had ACTUALLY WORKED! 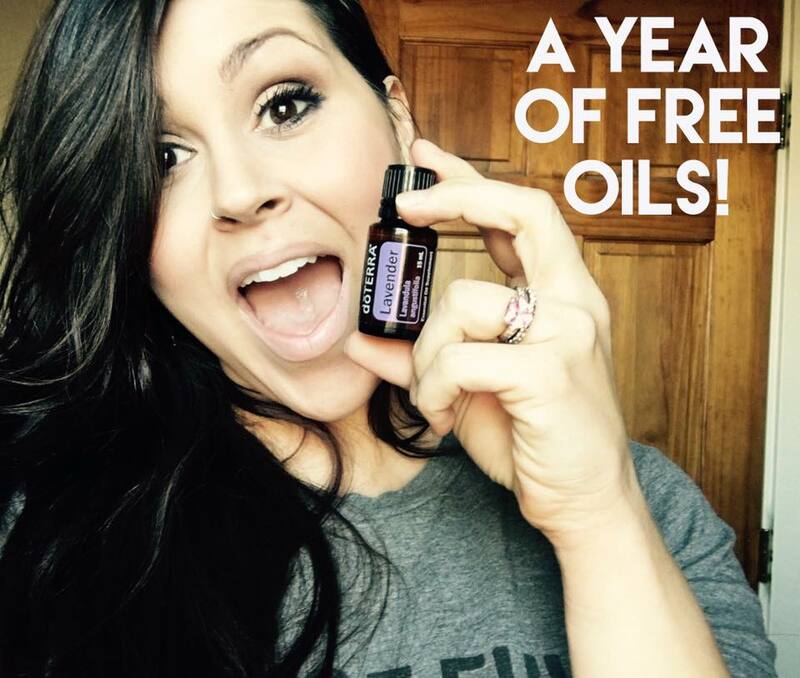 A YEAR OF ESSENTIAL OILS!! NO OBLIGATION TO BUY ANYTHING!!!! IT IS ALL FREE! MAKE SURE you also join my Farmhouse Oils VIP Page on Facebook because the winner will be announced THERE on JAN 31st! Please share what is helping your baby sleep!!! Just curious… which oils or oil blend do you use to help with Cypress’ naps?!? And how do you use them? Plain diluted lavender. It has been the only thing that has helped him stay asleep after I transfer him from nursing to laying down on his own. Thanks so much! Just FYI… I used the oil last night, and……… it worked! My 9 month old (baby #3) was the PERFECT sleeper until she started teething at 4 months and it has been a major struggle since. Recently it has been going something like this… nurse at 7:30pm, down in crib by about 8:15, awake again sometime between 9:30-11:30, awake again about 12:30, awake again 2am, awake again 4am – nurse & back down and then awake for the day about 7:15 (each time taking about 45 mins to get her back into her crib, sleeping). Whew! I have tried every “natural” remedy I could find, to include homeopathic suggestions – nothing was working. Until last night… I put 3 drops of lavender EO in about 1TBS almond oil and rubbed some on the bottom of her feet, behind her ears & on her chest and then I rubbed some on my chest. I also put a dab on my finger and rubbed it on her sheets. She nursed as usual about 7:30, asleep in crib by 8:15ish, awake about 2:30 (back to sleep in crib in about 15 mins) and then I had to wake her about 4am to nurse. She nursed and went right back to crib, sleeping. Yay!!! Maybe it was just a fluke??? But as of right now, I am totally sold on this essential oil thing! Thanks so much for your help & suggestions! BTW – I have never commented on a forum like this, but I felt compelled to share my experience just in case there’s another mama out there (like me!!) looking for some hope and a suggestion to try! That’s AWESOME! I really didn’t want to believe at first either, but it become hard to deny. I love lavender for Cypress.